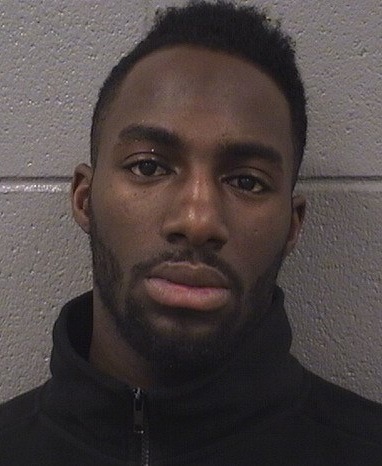 Keith Hayer, a Rogers Park rapper and gang banger who goes by the name Bang Da Hitta, is getting out of prison today. Like most Chicago rappers that you've never heard of, his real claim to fame is churning up online drama (NSFW) that seems to get people killed. What do you expect from a guy who's Facebook education status is "Studied Killin Howard Niggaz at Truman College?" One year ago, Hayer's car was fire bombed on the far North Side. Then, there was the SWAT team stand-off at Christmas time. Hayer has been cooling his heels downstate in the Vienna Correctional Center since February 28. While he was away, the rap video/murder scene heated up, then chilled out after 19-year-old video aficionado Shaquon "Young Pappy" Thomas got gunned down in Uptown on May 29. We have a feeling things will be heating up again soon.